By Mary Clare Fischer·	 4/10/2019, 1:32 p.m.
There’s a reason that getting a “change of scenery” has become a cliché at this point: It actually does work to clear your head. But there’s this impression that you need to plan a weekend trip to the Poconos or take a weeklong vacation to, say, Hawaii — and engage in all kinds of relaxing activities you wouldn’t normally do — in order to truly resettle your mind. Sometimes, though, you just need a different view. For instance, eating your go-to dinner of fish tacos at an actual table instead of balancing the plate on your lap while watching Queer Eye on the couch (just us?) can be LIFE-CHANGING. Hanging at a friend’s house for the 20 minutes you wear your clay face mask can infuse some life into your skincare routine. 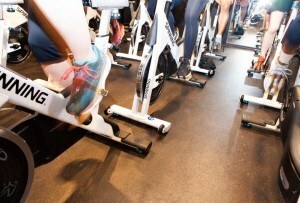 And the ultimate routine mixer-upper? Taking your workouts outside. Plenty of organizations have already started — or never stopped! — their open-air exercise for the year (think: November Project, every running group). 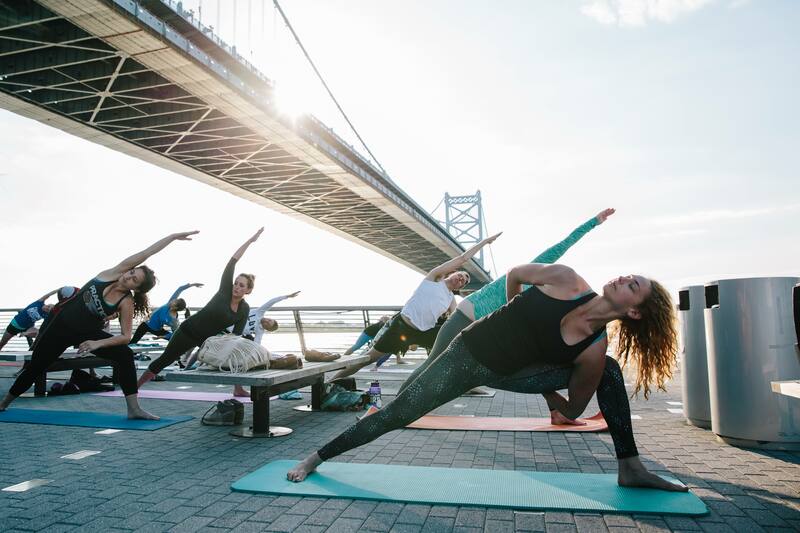 But, starting April 19th, the slate of al fresco fitness options will expand quite a bit, thanks to the return of Yoga On The Pier. Yoga On The Pier will also offer yoga mala, a traditional practice during which you do 108 sun salutations, to celebrate the summer solstice on Friday, June 21st. Major holidays — Memorial Day, Fourth of July, Labor Day, Columbus Day, and Veterans Day — over the course of the yoga series will get their own pier classes, too; all will be held at 9:30 a.m. See the full schedule here. 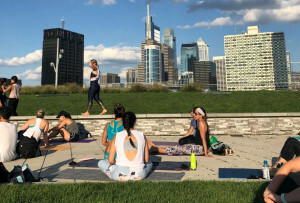 We’ve been crossing our fingers that the good weather will keep up forever, but it’s inevitable that a summer shower will get in the way of some Yoga On The Pier classes. Keep tabs (literally) on the Yoga on the Pier Facebook page for updates; typically, Wilson will cancel class 30 minutes before it’s scheduled to start if thunderstorms are on the horizon. 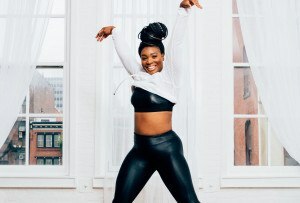 But, hey, if your typical routine calls for outdoor yoga, moving your practice to your living room — with a soothing backdrop of rain on the roof — sounds like a good change of scenery, too.